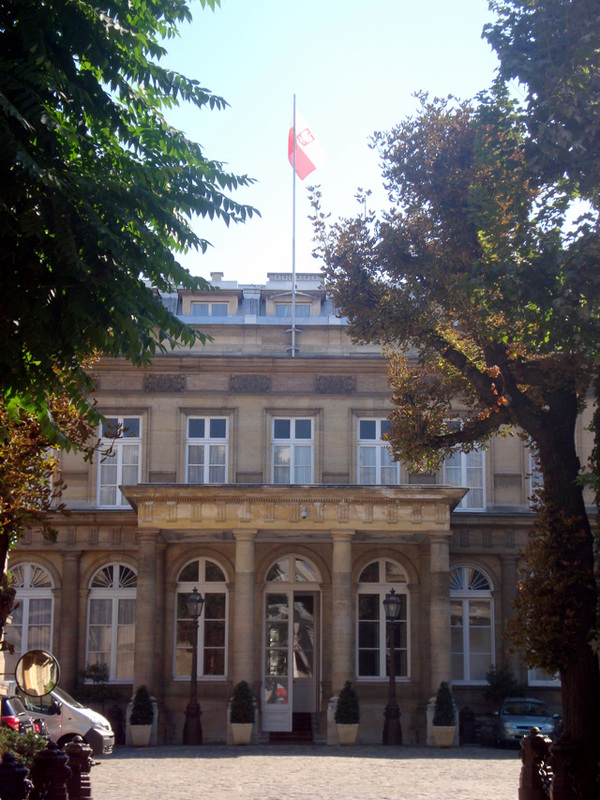 Notes: Hôtel de Monaco is a mansion of the 7th arrondissement of Paris, located at 57 rue Saint-Dominique, near the Esplanade des Invalides. According to Paul Jarry1, N 1, based on notes specialist Maurice Dumolin, the land on which is built the hotel lies west of the Faubourg Saint-Germain, initially in the rue Saint-Dominique in rue de Grenelle. The first known owner would Varet family. This property consists of three lots. The first includes a two-story wing built in 1718. A home gateway on the Rue Saint-Dominique accesses a courtyard behind is a garden. The second batch also gives rue Saint-Dominique and includes simple buildings with behind the marshes. Finally a series of houses built on the rue de Grenelle between the hotel Chanac de Pompadour and St. Valerius convent. Varet Catherine, widow of André Voulges, Lord of Chanteclair, sells this land on 10 and 13 December 1719 Peter to Bragouze, treasurer of the king's house. Following a liquidation, June 11, 1738 Marie-Marguerite Legendre, recent widow of Antoine Crozat the "richest man in France", and carries an award September 3, 1739 is definitely declared bidder. A first inheritance, March 3, 1743, leaves the undivided property. But the death of one of three son in 1750, she falls to two small-son of Antoine Crozat: Armand Louis de Gontaut Duke of Lauzun and Étienne François, duc de Choiseul Duke of Choiseul-Stainville. These sell, January 25, 1772, property rich Jean-Joseph de Laborde, Viscount de Chartres, a former banker of the court. He resells, December 19, 1773, to Maria Caterina Brignole, wife separate body and goods, Prince Honore III of Monaco. The terrain is similar to that of 1719.